At Lightfoot Mechanical, we are well versed in dealing with all types of air conditioning repair and installations. We have over 33 years experience serving customers in Fort Worth and surrounding areas and we know just how frustrating it can be when your AC breaks down at the height of summer. The last thing we want if for you to be left dealing with uncomfortable temperatures in your home or office. Our fully licensed technicians will ensure that your air conditioner system is functioning properly in no time. Your HVAC System is vital when it comes to keeping your home cool. Not only does it keep you at a comfortable temperature, but it also controls humidity levels and cleans the air your breathe. At Lightfoot Mechanical, we aim to provide the most comprehensive air conditioning service in Texas. From repairs to tune-ups and replacements, our AC and HVAC technicians can handle it all. We always find the best solution for your AC problem, whether you’re looking to fix your unit or bring down the cost of your utility bills by purchasing a more efficient system. As members of the Air Conditioning Contractors of America (ACCA), we vow to participate in the most up to date training and education of all our technicians so we can help guarantee the very best results. Did you know that Lightfoot Mechanical is certified to fix, repair and install Air Conditioning Systems for Fort Worth and nearby areas in Texas? When your air conditioner stops working in the middle of a torrid Texas heatwave, having a reliable AC repair contractor, like Lightfoot Mechanical, just a phone call away, can save the day. As a professional HVAC company we will be able to quickly diagnose the issue with your unit and resolve the problem in the least amount of time. When indoor temperatures are climbing rapidly, prompt repair service is essential. While there are many things that could cause AC breakdowns or under-performance, there are a handful that are quite common. They include a faulty thermostat, wiring problems,fan motor failure, dirty coils, indoor coil freeze-up, tripped circuits, low refrigerant,dirty filters, clogged drain lines and burned out electrical components. Some of these issues are difficult to diagnose, so relying on a trained expert with a license in handling refrigerant is your best choice. 33 years of experience are hard to beat, so go with the seasoned A/C Repair and Installation Company you can trust to do the job right the first time around. With over 33 years of experience, we have come across all sorts of air conditioning problems. As professionals in our field, we can quickly diagnose any issues with your unit and deal with the problem swiftly and efficiently. There are many different reasons your system could break down, from dirty filters to burnt out electrical components, tripped circuits, dirty coils, and worse. We not only repair these issues, but we also offer preventative maintenance to help prevent future costly and unnecessary breakdowns. When you consider how often you use your HVAC and AC system, it is no surprise that it experiences a lot of wear and tear throughout the years. Unfortunately, not many owners take this into consideration, leaving their units unchecked until a costly breakdown forces them to call an HVAC technician. Aside from regular cleaning and changing your filters, you should have a professional inspect and maintain your unit at least once a year. We will perform all the necessary tune-ups, including testing primary and secondary drain lines, checking the inside cooling coil, monitoring air conditioning cycle, and more. This will ensure you unit is running efficiently and will help to prevent more severe and costly breakdown issues. Simply speak to one of our agents today to schedule in your maintenance checks. We offer annual and semi-annual solutions to suit your every need. You can arrange our services well in advance, so you don’t have to worry about forgetting to get it done. We only use the most skilled licensed and insured Texas air conditioning technicians to ensure that our customers receive the very best service. Our team has been offering AC repair and installation services to Forth Worth and surrounding areas for decades. 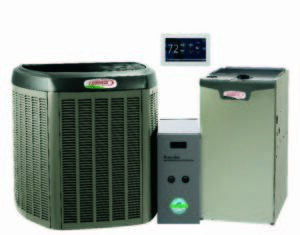 Each member of our team is an expert in the latest heating and air-cooling technologies and provides speedy, quality, and affordable air conditioning repair, maintenance, and installations. 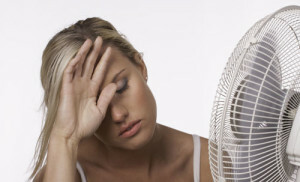 If you are in urgent need of an A/C repair, just give us a call, any time of day or night!